In the 1950s planners decided that motorways would best meet Auckland’s future transport needs. As these became congested, further motorways were built, sparking debate over whether motorways solved or exacerbated congestion. 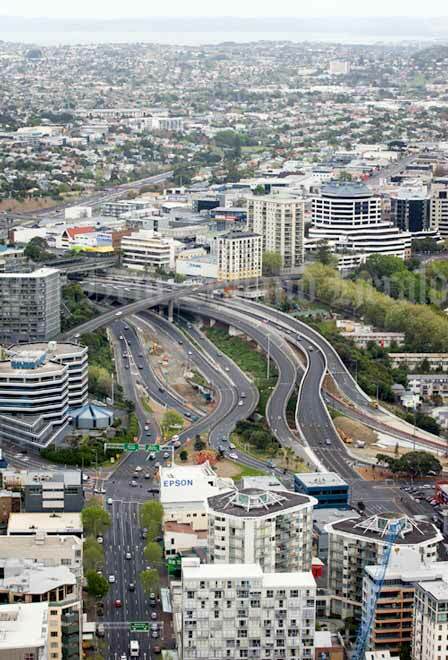 This is Central Motorway (or Spaghetti) Junction in central Auckland in 2006, where the north-western, northern and southern motorways meet.